It was five years ago. 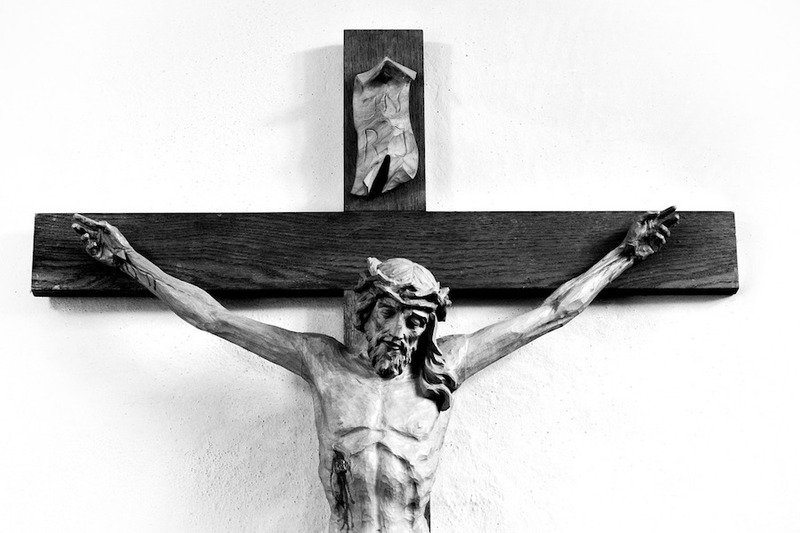 The memory is still in my mind.I entered my room to discover my five-year-old grandson looking up at a large crucifix on the wall above my bed. He turned and asked if that really happened. “Yes it did,” I replied. Was my small grandson having such an experience? I don’t know but I dared not speak or stir in case he was. Only he and God knew. There are sacred moments that surprise us all; they come without warning or prompting; they simply visit, then vanish, leaving us with peaceful joy or bliss that is beyond our ability to express or describe. These experiences are more frequent in early childhood then become rarer as we age and cynicism or doubts jade us and separate us from the divine. My experience with degenerative disability unexpectedly opened a door again to such experiences. It only began to happen after I stopped fighting disease and surrendered to Christ. Long ago I ceased to discount the prayers of children. Before I converted to Catholicism I attended an evangelical church. One day I was approached by a youth ministry leader. He shared with me that the Fridaynight teen group was having a “problem” with a member who had Down’s syndrome. She insisted on coming to the youth group and in devotional time would pray long, long prayers that bothered the rest of the teens. They were uncomfortable with her attendance and her praying. He asked me what could be done? I don’t think he liked my answer. I reminded the youth leader that the disciples tried to turn away children but Jesus welcomed and blessed them. I reminded him that Jesus said whatever we do to “the least of these” we do to him. Why are the weaker members more necessary and the parts less honourable deserving greater honour? It’s partly because the weak call the strong to a higher standard of love and care. The less honourable members need understanding and acceptance from the more honourable.